We are very happy to welcome Lorraine McConnon back again to Four Seasons Resorts Bali at Sayan, giving our guests the exclusive opportunity to join her Iyengar Yoga classes and experience her inspiring manner of teaching. Arrive 12 February, Yoga classes start 7.30am on 13th through to16 February and Arrive 19 February, Yoga Classes start 7.30pm on 20th through to 23 February 2017. For a complete island experience, extend your stay at the oceanfront Four Seasons Resort Bali at Jimbaran Bay either side or between the Yoga courses? Lorraine started practising yoga at a very young age; she holds the prestigious Senior Level One Iyengar Yoga Teaching Award. Primarily based in London she also teaches Internationally. Her instruction is the culmination of 30 years’ yoga teaching experience; she is detailed and precise whilst being warm and patient. She has studied with BKS Iyengar and his family, both in England and India. The Yoga classes will be structured in a way that everyone’s unique needs will be met, from raw beginners to experienced practitioners. The first hour of the daily yoga class will be gentle and suitable for all levels including beginners. The second 90 mins will be more dynamic – fulfilling the needs of more experienced students. Guests are invited to attend one or both classes depending on their ability. Through her classes our guests will find rejuvenation and a genuine sense of well-being. 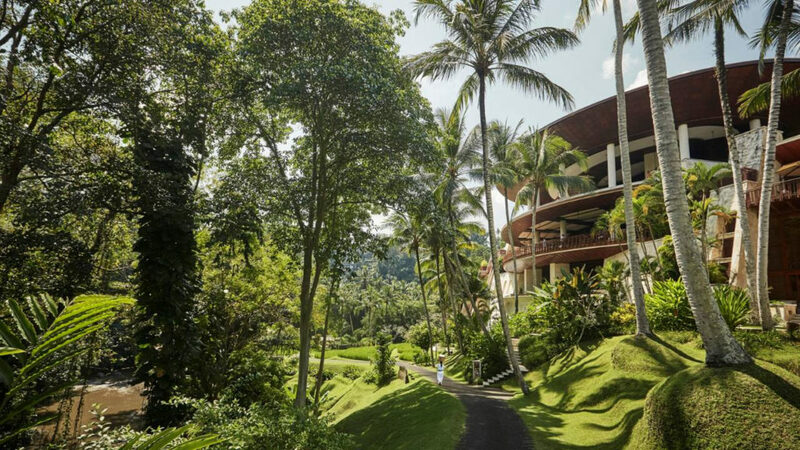 The Four Seasons Bali Resorts have a unique connection with nature, offering opportunities for deep rest which perfectly complements the daily yoga programme; Sayan has a new yoga terrace overlooking a lotus pond to inspire you. The afternoons can be spent exploring Bali’s rich cultural and spiritual heritage such as Tirta Empul Temple and Gunung Kawi Temple. It is also possible surf, go white water rafting, or bath in the heated thermal springs on top of the sleeping volcano. It is possible to come for all or part of the course. All group classes from the visiting practitioner will be charged IDR 300,000++ for 1 class or Rp 400,000++ for 2 classes. Also available for Private class on request IDR 800.000++ per person. This works out as is £148 p.p.p.day based on two sharing at the currency exchange rate at the time of writing (October 2016) and includes a superlative Four Seasons breakfast. Cancellation policy is flexible up to 30 Days prior to arrival. These are preferential rates for students attending Lorraine’s Yoga course (accompanying partners sharing a room also enjoy the same rate). You will find the same rate on the Four Seasons website however the rate on the website for this particular offer ( 3rd night free ) is not including breakfast and pre full payment is required. For the Yoga group , breakfast will be included and payment and cancellation fee is more flexible .